By the end of September, visitors to eight of Sarasota County’s nature preserves and two of its environmental/nature centers should be noticing a wide array of improvements — from new trails and picnic tables to improved parking lots to more interpretive signage. That was the news the County Commission received in a Feb. 3 report, which noted that staff is on track to make those areas more inviting to the public during the current fiscal year. The preserves at the focus of the initiative are the Carlton Complex, Curry Creek Preserve, Deer Prairie Creek Preserve, Jelks Preserve, Pinelands Preserve — including the Rocky Ford Complex — Scherer Thaxton Preserve, Sleeping Turtles Preserve North and the Walton Ranch Preserve, the report says. The remaining focus is on Lemon Bay Park and Environmental Center, and Shamrock Park and Nature Center, the report notes. Altogether, the 10 county-owned sites account for more than 48,850 acres of publicly accessible land, the report points out. “I’m really energized by the fact that we are making progress,” Commissioner Christine Robinson told The Sarasota News Leader during a Feb. 9 telephone interview. The undertaking falls under the aegis of the County Commission’s Promote Quality of Life strategic goal, which the board discussed on Feb. 20, 2015 during a budget workshop. Just after Commissioner Paul Caragiulo and Robinson raised the issue that day of making the county’s parks and preserves more accessible to the public, Carolyn Brown, the county’s director of parks, recreation and natural resources, responded that such an initiative was being added to the list of goals under Promote Quality of Life. Staff already had decided the matter should be addressed sooner rather than later, Brown added. Furthermore, the report says, “Each kiosk will also have [a] brochure box that will provide … trail maps [in color], with additional site information on the reverse side …” And the kiosks and maps will feature information to cross-promote other preserves, the report adds. Assistance from the county’s Communications Department will be necessary for the development of the kiosks, the report notes. Every preserve will have a named nature trail as well, the report continues, explaining, “The nature trails will be relatively short (generally less than one mile),” encompassing terrain that is easy to cover by foot. 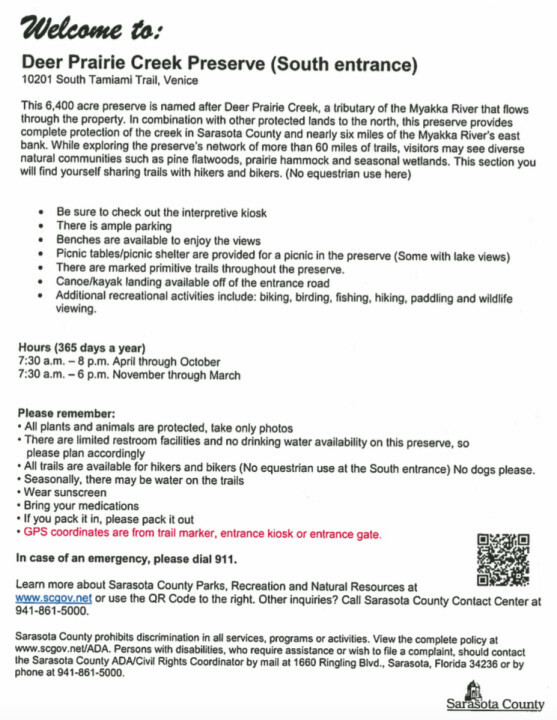 Educational/interpretative information will be posted along the way. 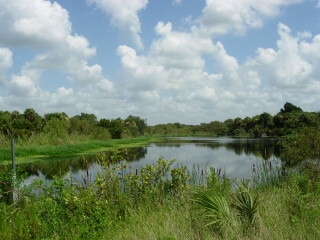 Additionally, the report explains that the Parks, Recreation and Natural Resources Department “will develop a concept plan for Deer Prairie Creek Preserve.” Because of that site’s location on Deer Prairie Creek and the Myakka River — “with public access [via] U.S. 41” — it “is uniquely situated to be the focal point for showcasing the [county’s Environmentally Sensitive Lands Protection Program ESLPP] and public access to conservation lands,” the report points out. In its discussions about the nature centers at Lemon Bay Park and Shamrock Park, the report points to projects that have been completed. 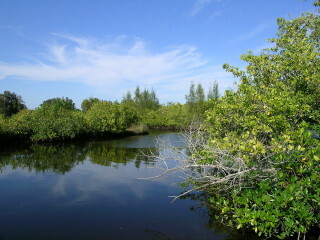 At Lemon Bay Park and Environmental Center, for example, the report says the Bayshore Nature Trail has been marked, with interpretative signage purchased and installed. Additionally, five two-pole shelters were replaced with new shelters and picnic tables or benches. The Butterfly Garden also was the focus of enhancements: The wooden bridge to it was upgraded, new plantings were added and the brick walkway through it was improved. Moreover, the information about the wildlife in the area has been updated, with new signs erected, the report says. 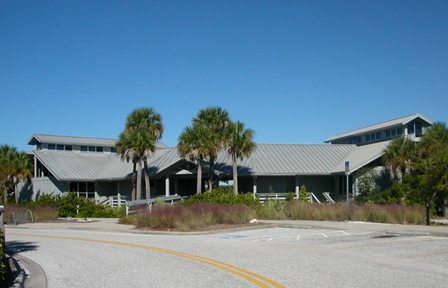 At Shamrock Park and Nature Center, enhancements include the relocation of the bobcat diorama and Florida conch seashell exhibit from the classroom “where rarely seen” into the Nature Center itself, alongside other displays; the resurfacing of the tennis courts; the marking of a 1-mile loop trail as the Gopher Tortoise Nature Trail; and fresh new landscaping for the Demo Garden. Robinson told the News Leader she also sees also the work at the preserves and environmental centers as a means of encouraging the public to renew the Environmentally Sensitive Lands Protection Program in the future. That program is funded by a 0.25-mill ad valorem tax that voters approved first during a March 1999 referendum and then renewed in 2005, a county document explains. The tax is in effect through 2029. “I think this is an investment in the future,” Robinson added of the expanded public access.